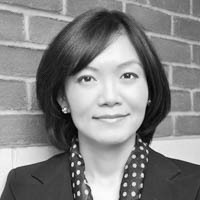 Claire Tsai is an Associate Professor of Marketing and a co-founder of the Behavioral Economics in Action Research Cluster at the University of Toronto's Rotman School of Management. She has worked in financial services in New York, Taipei and Hong Kong. She adopts a behavioural economics approach in studying decision making in areas of financial decisions, food consumption and well-being. She studies overconfidence and how this bias systematically influences judgments and decision making. She also studies the science and economics of happiness, which she terms Hedonomics. Her work appears in leading marketing and psychology journals, including Journal of Consumer Research and Psychological Science. Her work often receives featured coverage in popular media outlets including the Wall Street Journal (Week in Ideas), Time.com, Globe and Mail, CBC News, and Harvard Business Review. Speaking engagements include the Latin American Financial Education Congress and Ontario Securities Commission. with Leonard Lee et al. Research: Happiness, pricing and promotions, overconfidence, and metacognitive experience.